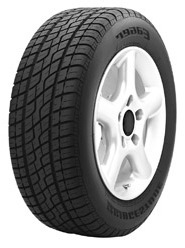 Advanced tread design that reduces the risk of hydroplaning. Large outside shoulder tread blocks deliver responsiveness and crisp handling. H-Speed rated, performance, all-season tread technology provides grip in varying road conditions.